Florida law has changed significantly in the last few years related to what was formerly referred to as child “custody” and “visitation”. The Florida Legislature felt it was in the best interests of children to encourage parents to view the relationship they have with each other and their children differently than defining one parent defined as “primary” and the other parent defined as “secondary”. Thus, the Legislature changed child custody and visitation language in favor of requiring a “Parenting Plan” which provides for “time-sharing” with the intention of placing both parents on more equal footing. In Florida, the Courts now require the adoption of a Parenting Plan for all divorce and paternity cases involving children. A Parenting Plan governs the relationship between all parties relating to decisions that must be made regarding children’s issues, including time-sharing schedules for parents; child support; cost sharing of items such as insurance, child care, and extracurricular activities; religious decisions; and all the other issues that parents must deal with when raising a child. The plan is designed to give the separating parents a blueprint of how they will interact with their child, and define who is responsible for what, and when. If the parents cannot come to an agreement regarding all the issues outlined in a Parenting Plan, including how they will share time with their children, the Court will ultimately be required to make those decisions. The Court evaluates many statutory factors before deciding what is in the best interests of your children and making the final determination of exactly how they will time-share with each parent. This will involve complicated issues such as: whom the children will live with during the week or weekends, whose residence will be used for school purposes, and what time-sharing schedule will work best for the children, based on the specifics of your situation. Time-sharing usually consists of a weekly rotation that may include alternating weekends for one parent, equal (50/50) time-sharing where the children split their time equally between the parents, or the more unconventional but sometimes used split time-sharing, where children may be split between parents and one live with one parent and one with the other. At Morgan and Barbary, we believe that each family’s situation is different and the best time-sharing plan is the one that works for you and your kids. We work hard to make sure that you get the right time-sharing arrangement for you. 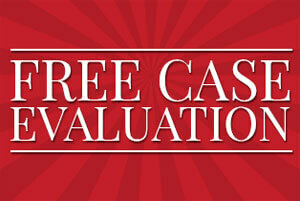 For a FREE telephone consultation about your specific situation, call our caring family law attorneys at 321-951-3400. Many Courts are requiring each party to any family law matter involving minor children to file a proposed Parenting Plan for the other side to review very early in the proceedings. The Florida Supreme Court has created a Parenting Plan form and many of the various judicial circuits have also created their own individual Parenting Plans. Brevard County is in the 18th Judicial Circuit. Our firm’s philosophy is always to “prepare for war, and hope for peace.” During the pendency of your family law case, we will negotiate the many issues contained within the terms of a Parenting Plan. If negotiating strategies do not produce an optimum outcome for you, our highly skilled attorneys and staff members will prepare and litigate the issues through trial and work hard to achieve your best outcome. If you find yourself in a situation where you will be negotiating or litigating Parenting Plan issues, be smart. Call our office at 321-951-3400 for a FREE telephone consultation with one of our skilled attorneys. Remember that mistakes you make in negotiating a Parenting Plan will be mistakes that will cost you money to fix later on down the line. A little pre-planning and information up front will go a long way towards making the Parenting Plan you enter into a good, solid working plan that will be in the best interests of you and your children. Call the attorneys of Morgan & Barbary to discuss these very important issues. There is nothing more precious or important than a solid foundation for your children.